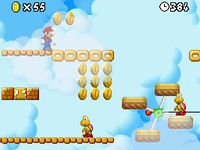 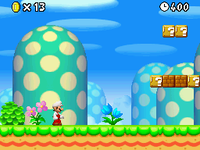 Appearance New Super Mario Bros.
World 7 is the seventh world in New Super Mario Bros.. 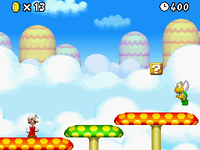 It takes place in the sky, and is made up entirely of clouds, though some levels take place in overworld or mushrooms. 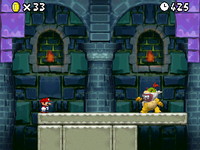 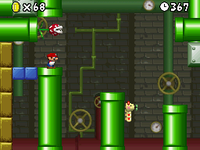 To get to this world, the player must defeat Petey Piranha as Mini Mario, or by taking the cannon in World 4. 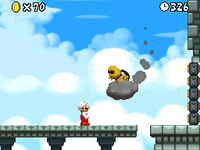 The boss is Lakithunder, a Lakitu riding a thunder cloud. 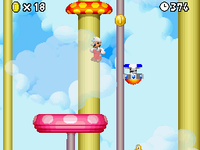 This page was last edited on March 25, 2019, at 08:52.